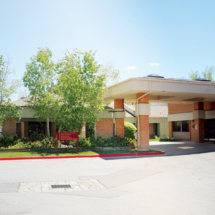 WOODLAND PARK REHABILITATION AND CARE CENTER, is the region’s premier provider of post-acute care and rehabilitation services. Centrally located in the Salt Lake Valley, our campus-style care community features dedicated short-term rehabilitation, respiratory care and long-term care centers of excellence. This model allows us to carefully design teams aimed at meeting and exceeding the needs of those entrusted to our care. 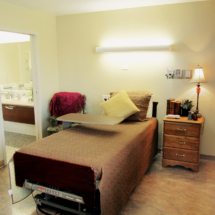 In addition to rehabilitation services, Woodland Park Rehabilitation and Care Center is designed to care for your medical conditions through personalized, 24-hour skilled nursing care provided by licensed clinical specialists and therapists. With oversight and coordination with physicians and nurse practitioners, our teams work hand-in-hand to provide compassionate quality care. 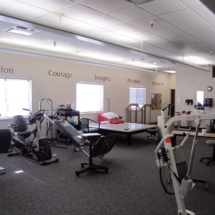 Woodland Park Rehabilitation and Care Center offers more than just 24-hour nursing care, we cater to both the physical and emotional health of our residents and patients. Our care teams work together to create personalized treatment plans to help patients through their care journey. We strive to provide industry-leading outcomes through coordination of all aspects of your care. 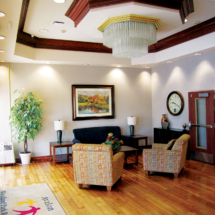 We strive to provide you with a stay that will make you feel as comfortable as possible. We have created a Hispanic Program to help you feel more at ease during your stay and allow you to focus on your rehabilitation. Woodland Park is proud to provide Staff Members that are fluent in Spanish such as Nurses, Certified Nursing Assistants, Activities Aides, Admissions, and Social Services. Spanish-speaking Staff have an indication on their name badges. Please don’t hesitate to ask us questions or request assistance at any time, we are happy to help! We serve a Hispanic cuisine menu option for lunch and dinner. Every day we also offer Hispanic-themed choices that are on the “Always Available” menu. Please ask a team member for a menu. Our Activities Department has weekly activities based on the Hispanic culture. We also offer Hispanic religious services provided by our local church. Please see the Activities Department for a detailed copy of the activities schedule.